St. Luke’s University Health Networks – Thank you! Thank you to everyone who came out and participated in the 2018 Carly Lenett Swim for the Cure and Swim Clinic yesterday, September 22. Proceeds will benefit Team Carly Rocks Foundation to STOP Diabetes/TID Exchange. 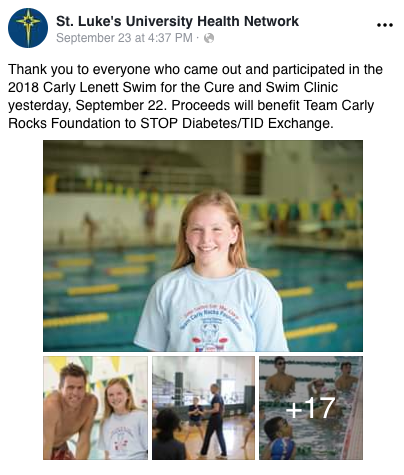 ← Amazing day at the Team Carly Rocks Swim For The Diabetes Cure event today.